Boxes have been around for a while now and remain widely popular, providing trendy yet simple packaging, for a large variety of products. Drinks companies, especially Spirits brands, are using this packaging widely. Liquor Boxes exist in various shapes and forms and we can customise them easily for companies to differentiate themselves from their competitors through innovative designs. Are you ready for Box Packaging? These high end boxes are usually made of metals, synonymous with durability, strength and character, further reinforcing the image of the brand. Champagne brands are however increasingly using Strong Cardboard and even Neoprene. Classy and refined artwork is on the mould and printed onto the box, to obtain that ideal packaging look not solely for alcohol but for a large variety of products. Remember how often that bottle of wine was left unfinished after a family dinner? Well look no more with this cool promotional wine stopper with combination lock! Some of us are forced pour out wine, as we all know that after the opening of a bottle we can’t insert into the wine cork successfully. Others are trying to replace the cork with paper items or other material. Why we advise you to use this promotional wine stopper for your promotional campaign? Increase purchased value. It is can be given as gift with purchase, which is such a good marketing idea for the wine and drinks industries. It boosts lots of opportunity to increase sells as no one will want to lose the chance of getting this unique and useful wine stopper with a twist. Practicality. The good quality of this product makes this wine bottle stopper an excellent idea due to its long product life-span. This will make the perfect bar equipment promotional idea for drinks and alcohol companies. The bottom part of the stopper can also be pushed inside the top base for perfect storage! Brand value. Most of us rarely drink alcohol alone, more often we drink at some parties with our friends or with guests and our families. Because it is different a huge amount of people could see this uniquely designed product and will provide your company or brand with word mouth advertising. With thousands of different wine merchandise and wine varieties to choose from in an already saturated industry, it can be hard for wine brands to stand out to their potential customers that past their brand everyday. A regular customer who is perhaps not as familiar with wine as an expert, will at times find it different to know which wine is best to choose from on the shelf. A wine campaign that has an on-pack freebie gift or has a price promotion is more attractive to purchase over others, or to at least to try. And these wine promo stirrers are the perfect free gift to complement your wine, especially when enjoyed with ice! Wine gifts and how can they increase your product sales? Brand value. Customers love receiving free gifts no matter how small, and they will always make the customer exhibit a more positive experience when buying your product, which is more likely for them to return. Branding potential. Small wine promo gifts such as this stirrer, are useful when making and mixing drinks. Stirrers especially can be custom packaged, shaped, coloured and can be made to feature cool designs that show off your brand. Incentive product. With a free wine gift attached that matches your wine brand, it acts as a great incentive to make customers try out your brand. This type of wine campaign could be the marketing tool that will successfully push the client to try and buy your product. In general it’s a great way to get a stronger foothold in the market. Before doing anything else choose the right Promotional Product Options. With so many delivery mechanics to improve your marketing Campaigns, it can be tough to decide. First off, think about who, what and where your target audience will be and the type of gifts they want from a company. Secondly, how to get the message across about your company such as, the reasoning and theme behind your campaign. Different delivery mechanisms can help to increase a company’s promotional products. What is a Delivery mechanism? – key deciding factor on what products to give away as promotional gifts to clients. The product, budget and delivery mechanism all need to be in sync with each other to have a successful promotional campaign. Events Giveaways –Free promotional products from sport events, concerts, fairs, etc.- a way to maintain customer loyalty. Celebrities augments a brand by autographing the giveaway. Furthermore, toss promotional giveaways can be given out by a catapult or someone throws these items into the crowd. Mostly seen at sport events and concerts. Custom made liquor glasses not only capture the essence of your liquor, they also showcase your brand’s depth and specialization in this field. By serving your rum in a signature, custom-made glass, your brand brings its small piece of history to the present (and even to the future). Point of sale promotion. This glass could be used in bars or at home on display in your drinks cabinet to promote your liquor brand. When buying a glass of this specific brand of whiskey, customers tend to like their drink served with a matching glass to accompany the drink. Therefore, this premium glass will be on show to more customers, the nicer looking the glass, the more likely the customer will buy this rum. A bottle stopper is a nice product to use as GWP. Because of the size and weight of the product, it is compact and suitable for many types of industries. If you are dealing in food and beverage industry, perhaps as a winemaker or a restaurant, this product would be a really cool premium product. Bottle stoppers are very simple and convenient accessories for wine lovers, bartenders and wine collectors alike to saver the aromas of wine, and keep its taste ripe. This is why we suggest this vacuum seal bottle stopper to add a twist and cheer to your collection of wine accessories. Why is this wine stopper a great merchandise idea? Practical. This wine stopped can be use multiple ways making it a very convenient item to have. People love receiving items that they can use. Brand awareness. This item can be used and placed on any item and any place leaving plenty of chance to expose and interest other people. Whiskey stones – solid cubes made of either stone or stainless steel – offer the benefit of keeping your drink cold without diluting it. Many prefer to use them over ice cubes because they don’t melt, are odorless and tasteless, and have a more prolonged cooling effect. All this means the customer will be able to enjoy his or her drink in a whiskey glass without any alteration of taste or smell. Nonetheless, excellent promo whiskey stones require equally nice packaging. No company would hand them over like ordinary rocks, for sure. Just look at the new packaging designs for promo whiskey cubes here above. A handbag hook is a perfect companion for any girl to keep their handbags off the ground. This helps keep your handbag clean and prolong its usability. Besides, this handbag hook also shouts out as a fashion statement. The simple yet posh design stands out from other conventional handbag hooks that may come across as too loud or cheap looking. How can offering a handbag hook be helpful? On a marketing level, offering a promotional gift reflects well on the company. It shows that the company is customer orientated and they is also a gesture of generosity to them. Customers that receives gift will usually be more loyal or receptive to future products or promotions from that same company. Furthermore, by offering such promotional gifts it will also promote the products of the company. It helps create brand recall in the minds of customers. They would then have the perception that your company is reliable because your gift could be something they see every day. You may think that promotional gifts are seen everywhere but they are actually one of the most preferred ways of marketing. No one will say no to a free gift, especially if it is something that is useful and practical. If your company has not been using promotional gifts as a marketing tool, we strongly encourage that you consider this approach! Packaging is undeniably one of the most significant aspects of marketing. Working with a trusted gift box factory ensures that your custom gift packaging is done according to your requirements. Why do we think that any custom packaging is a great idea? Design Appeal. Having this kind of packaging helps motivate customers to make a purchase. Thus, customizing the box is really important. Stimulate sales. Great packaging can affect one’s buying decision. Consumers tend to get products in beautiful packages. It can assist, therefore, in developing brand awareness and stimulating sales. Product Protection. The main point of having excellent packaging is securing the goods. When your merchandise is well-packaged, customers see this as a guarantee of quality. Gift-Ready. Obviously, this is perfect for the Golden Week Holidays in China. The well-designed box emits a refined aura that resonates with the Chinese market. Brand Awareness. With just one look, you’ll immediately recognize the brand color, hence making the packaging great for promotion and brand exposure. One of the best ways to deliver your brand's identity is through wearable fashion. Wearable in the sense that it can be used every day on almost any occasion without looking like a tasteless promotional item that anyone can get for free once they avail the product. Integrating your brand in fashion can be a hit or miss, there's always this fine line between your merchandise looking like a valued gift or a tacky promo loot. The best approach to this is to be as subtle as possible while still keeping your brand's identity imminent in the merchandise. Take this trucker cap we designed and made for the brand LWC. Practical gifts like this have a higher tendency to be used by the customers, thus, increasing your brand's reach and visibility, pun intended. 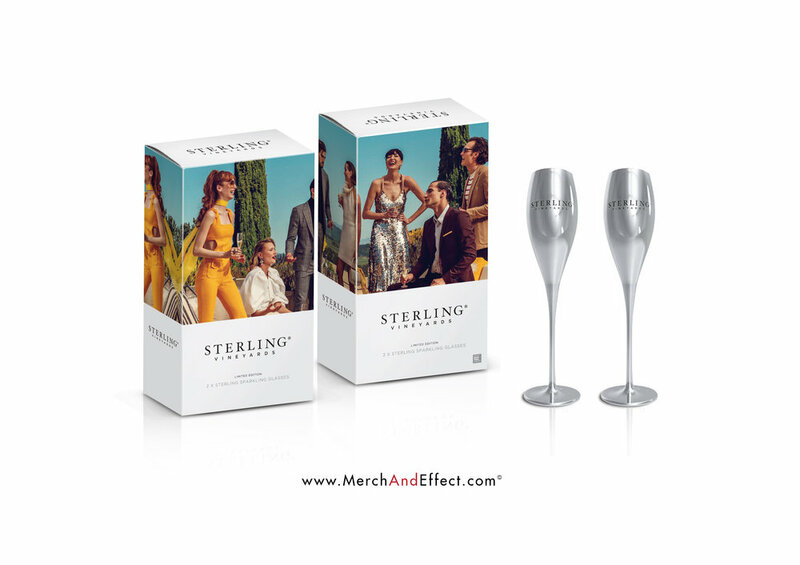 We at Merch & Effect consider several key elements when making a design. First, we take into consideration the color palette of the brand. Color palettes are easily recognizable and unique to the brand. In spite of the logo not standing out, these would carry the brand's identity. Another thing we consider is the materials that will be used to create our designs. Since we have limited space in this platform, we take into consideration what imagery we should prioritise and put on there. With this, we can come up with a practical, subtle, but brand-related item that will surely be appreciated by customers.